Winter 2016-2017 is brining a new trim of CRV for Honda lovers. Honda CRV crossover the most liked and hot selling compact SUV has successfully entered its fifth generation with presenting its 2017 model. 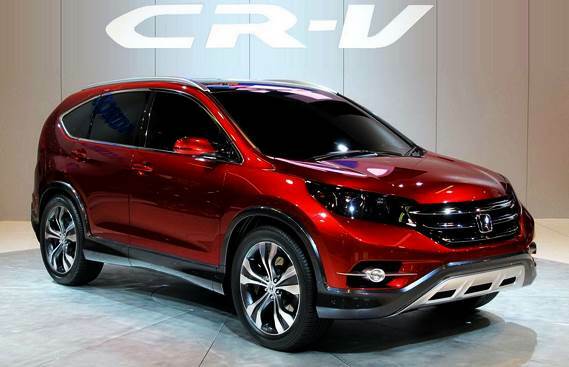 Expectedly CR-V is going to be launched in December 2016. This model is in debate for last six months. There were many gossips and rumors heard regarding design and seating capacity of Honda CRV 2017 model when it was at early stages of its designing. According to different reviews It was strongly predicted that Honda would be offering seven seats, as long wheel-base was being designed but with the advent of CRV 2017 all rumors and predictions regarding its seating arrangement turned to be false. Honda CRV is a five-seats model with ample of cargo capacity, its longer wheel-base provides greater leg space for passengers sitting at the back. Usual elegance of Honda’s interior and seats are observed in this model at its peak. If we consider its exterior Honda sustained its signature wing-shaped LED lights in this trim-level too. Sharp colors are used and there are sleek arches on the body structure. Technological enhancement in blind spot detection adds worth to CRV. It is definite and highly predicted that Honda CRV 2017 will win the march on Accord. CRV is expected to be floated in market for sale in December 2016, so first quarter could be considered very important to decide that which one of these two will lead the victory stand, are these predictions going to be true or it will again astonish people by taking any other mode.